AERODIUM Technologies continues to spread their unique vision of indoor skydiving and possible wind tunnel applications with their latest installation. This time they have created a one of a kind installation for the newly opened Shanghai Disneyland. 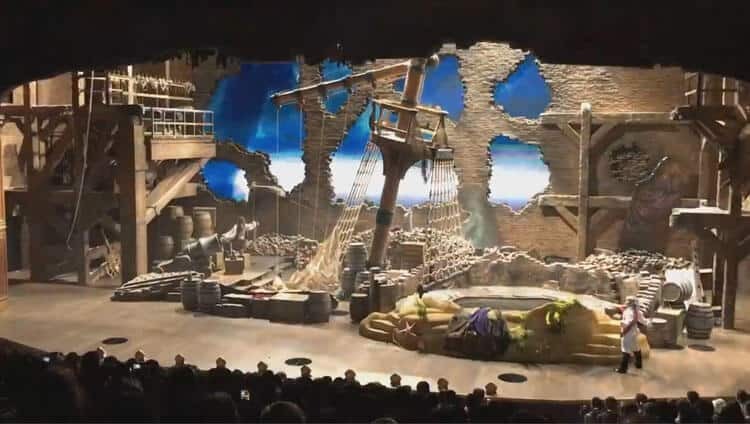 The no-wall wind tunnel sits on the stage of the live action Pirates of the Carribean show: Eye of the Storm: Captain Jack’s Stunt Spectacular. You can see the round tunnel net sitting to the right side of the above image. Disneyland Shanghai features an entire Pirates of the Caribbean themed area. The Eye of the Storm show is a 30 minute feature that brings "outrageous antics and daring thrills to the stage". Shanghai Disney describes: "Hang on tight as the action builds to a furious finale! 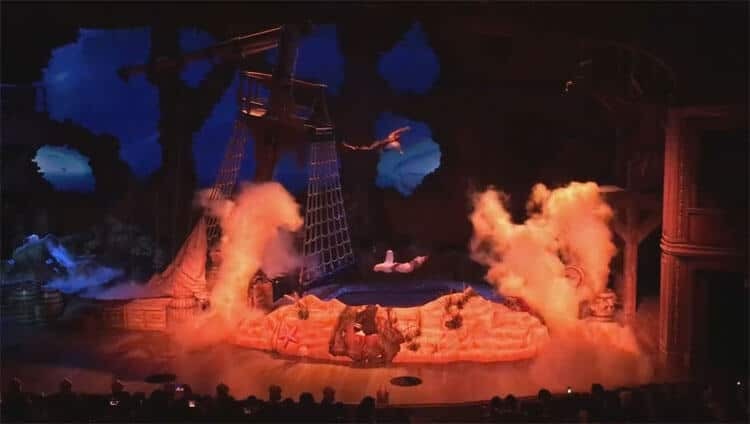 When the hurricane that’s been bearing down on Treasure Cove slams through the theatre, Jack and his foe are swept up into the most breathtaking swordfight ever!" The show uses flying and interaction with the surrounding props during an incredible flight / fight scene. While the show is a spectacular feat, what is going on behind the scenes is equally as impressive. The custom built machine is a one-of-a-kind 11 ft diameter single sided recirculating model with no walls! This specific application borrows the open-chamber concept of a wind tunnel built for aerodynamics testing and applies it to human flight. We feature the Disneyland tunnel in our private wind tunnel section. A big congratulations goes out to everyone involved in this production. This is an amazing application of indoor skydiving in a public setting. We hope it captivates the audiences in China and inspires people around the world to fly!